The high potential of efficiency enhancement in order to avoid the greenhouse gas emission is of course indisputable in all professional circles. However with these arguments, the operators often meet the distrust of the public, wrongly. Up to now, not any empirical study is available able to demonstrate based on figures and facts the CO2 avoidance potential of new power stations constructed according to the today and mid-term available state of the technique. With the power plants operating database system KISSY , all members of the VGB association possess an effective tool for analysing some operating data of their own power plant fleet. 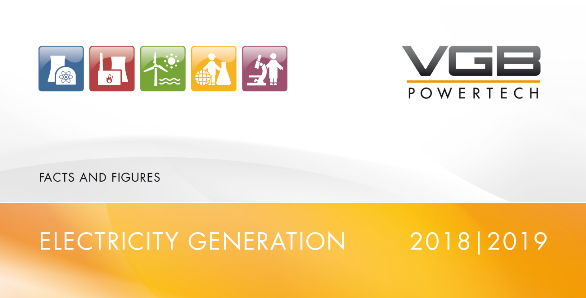 In addition, a list of new power plant projects planned or in construction in the EU-27 has been created and updated by VGB since 2005. These two elements can be a basis for an empirical determination of the efficiency of the actual and future European coal power plants. Within the scope of this project, the CO2 emissions of the actual power plant fleet will be estimated on the basis of the real operating modes of the plant, the age, as well as the technical designs or re-building of the plant like the main steam circuit, the cooling system, the preheated system, the flue gas cleaning process, etc. In order to be able to estimate the CO2 emission reduction in the EU-27 until 2020 by replacing of old power plants by new ones (disregarding CCS), it is necessary to develop a model of calculation to examine different scenarios. The project is carried out from February 2008 until April 2010 under the guidance of Jean-Francois Lehougre. The Technical Committee Power Plant Concepts and Thermodynamics supports the investigations.